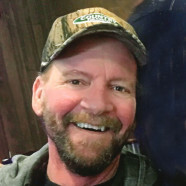 Wednesday, March 27, 2019 4:00-7:00 p.m.
Jeff G. Smith, age 53, of Breese, died Friday, March 22, 2019 at HSHS St. Joseph’s Hospital in Highland. He was born June 11, 1965 in Springfield, a son of Elizabeth “Betty”, nee Strake, Smith of Breese and the late Douglas Smith. In addition to his mother, he is survived by his wife Kathy, nee Hipkins, Smith of Breese, whom he married March 17, 1988 in Carlyle; children, Ryan Smith of Staunton, Amber (Garrett) Reilmann of Monument, CO, Shelby (friend Dylan Ritter) Smith of Carlyle, and Cody Smith of Breese; grandchildren, Lilly Reilmann and Lylah Stine; siblings, Marietta (Ralph) Kuhl of Breese, Carla (Charlie) Hilmes of Breese, and Tim (Sandy) Smith of Nashville; mother-in-law, Hazel (friend Debra Ashman) Hipkins of Bluford; father-in-law, Larry (Candy) Hipkins of Leesburg, FL; brothers-in-law and sisters-in-law, Ian (Erinn) Hipkins of Beckemeyer, Daniel Willimot of England, Ben (friend Tina Winkeler) Hipkins of Metamora, IL, and Nick (friend Christine Rice) Hipkins of Belleville; nieces and nephews, Alicia (Dan) Hauer, Courtney (Christian Koebel) Kuhl, Alex (Melissa) Kuhl, Cierra Hilmes, Joshua Smith, Brooke (Casey) McKenzie, Kayla Jansen, Savannah, Alex, Logan, Colin, and Kaitlyn; great-niece, Trudy Koebel; uncles and aunts, Dan and Rose Strake, Judy Brown, and Dennis “Bucky” and Doris Strake; numerous cousins; and many friends that the family would like to give BIG THANKS for helping Jeff through his journey. Your love, friendship, and support will never be forgotten. He was preceded in death by his father; sisters, Mary Catherine Smith in infancy and Karen Jansen; maternal grandparents, Ray and Virginia Strake; paternal grandparents, Louie and Creta Pike and Denver Smith; a nephew, Trent Smith in infancy; and an uncle, Norman Brown. Jeff was a member of St. Augustine Catholic Church in Breese and the Concordia Saengerchor. He began his construction career with Rolfingsmeyer Remodeling, was the former co-owner of JMS Construction, and the current owner of Smith Construction in Breese. He enjoyed hunting, fishing, watching NASCAR, and gardening, especially planting the “Pickle Patch” with his grandchildren. Jeff was a great friend to all and was always there to provide a helping hand. Memorial service will be Wednesday, March 27, 2019 at 7:00 p.m. at Moss Funeral Home in Breese with Deacon Linus Klostermann officiating. Visitation will be Wednesday, March 27, 2019 from 4:00-7:00 p.m. at Moss Funeral Home in Breese. In lieu of flowers, plants, and other gifts, memorials may be made to Faith for Fallon or the Clinton County Humane Society and will be received at the funeral home.